We have all heard Belinda Carlisle sing that 'Heaven is a place on Earth'; but until you have experienced Ireland's Dromoland Castle in County Clare, you don't really know what those words mean. This 16th Century castle and estate is a little (well, it's very large actually) piece of paradise. 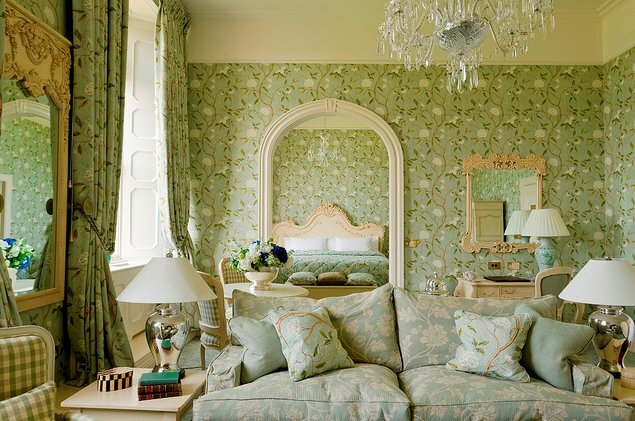 Dromoland Castle Hotel & Country Estate far exceeds it's 5-star AA rating. The grounds and hotel itself are immaculate; and nothing is too much trouble for their dedicated staff. John, the smiling porter will greet you on arrival and remind you why Ireland is known as the land of charm. Chocolates await you in your room; the Irish Independent hangs on your door each morning when you wake; you will return to your room after dinner to find your bed turned down and an Irish greeting on your pillow; and if you are going out for the day, the hotel will pack you a lunch bag containing their delicious homemade fruit cake amongst other delights. When you stay at Dromoland Castle you will struggle to think of something you need that the hotel has not thought of and provided first. The activities on offer at the hotel and it's grounds are numerous, and won't fail to occupy and relax you for several days. 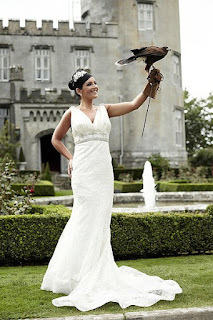 The Dromoland Castle School of Falconry runs daily Hawk Walks that can be booked with reception. One of the experienced Falconers will take you (and a Hawk) out for a walk around the estate; teaching you how to get the bird to land on your hand. The country club offers swimming, golfing, fishing and boating; perfect ways to while away an afternoon. 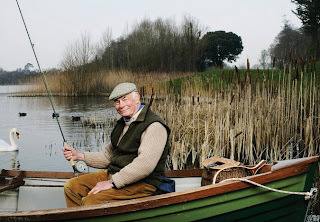 Men can go fishing on a boat with the estate's experienced ghillie Dennis, or go for a round of golf with the resident pro-golfer; whilst the girls can go boating on the picturesque lake. 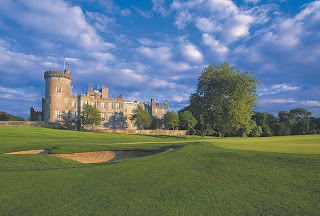 Dromoland Castle has two restaurants- the formal Earl of Thomond in the main castle, and the more informal Fig Tree at the country club. Dinner in the Earl of Thomond restaurant is a treat not to be missed (and if you managed to catch a fish earlier in the day, the chef will be happy to cook it for you). The menu is filled with local produce enhanced with the creative flair of the hotel's executive chef; and includes dishes such as Grilled Fillet of Irish Beef, Leeks & Ceps, Peppered Swede, Rich Claret Sauce. Four courses plus coffee and petit fours costs €65.00. After dinner, retreat to the intimate cocktail bar for a night cap whilst listening to a resident traditional Irish singer. The staff's knowledge of drinks and cocktails is impeccable, and they can recommend something to suit your taste. The castle itself is a stunning landmark in the middle of it's private estate; and as such, makes a perfect fairyale location for a wedding. The Corrs' band member Sharon Corr had her wedding party here. 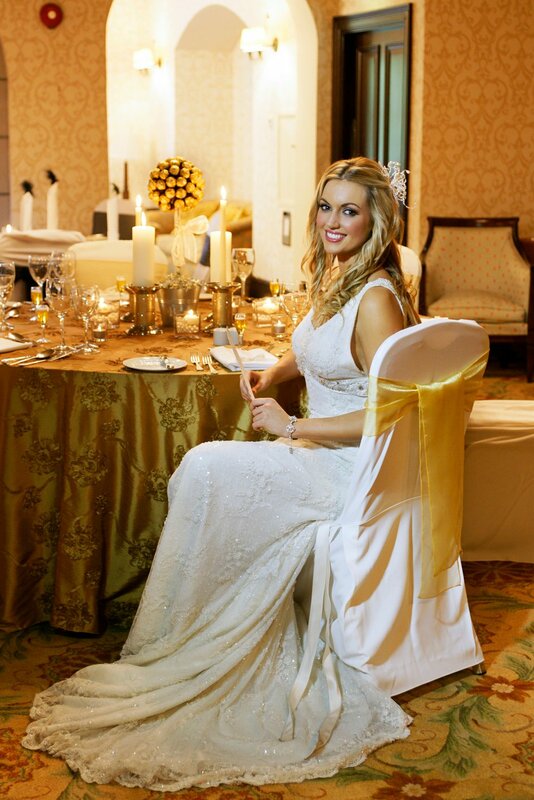 Dromoland can cater for large and small intimate weddings, and can provide you with everything you will need for your special day. 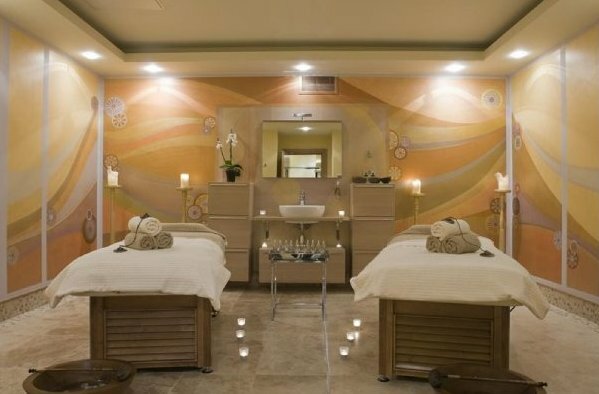 Brides can get pampered at the hotel's spa; which uses the delightful Irish organic Voya and Parisian Anne Semonin ranges. Hair can also be styled on site in the salon. Let Dromoland's team suggest special ways to make your day memorable- why not have one of the owls or hawks from the School of Falconry deliver your rings? 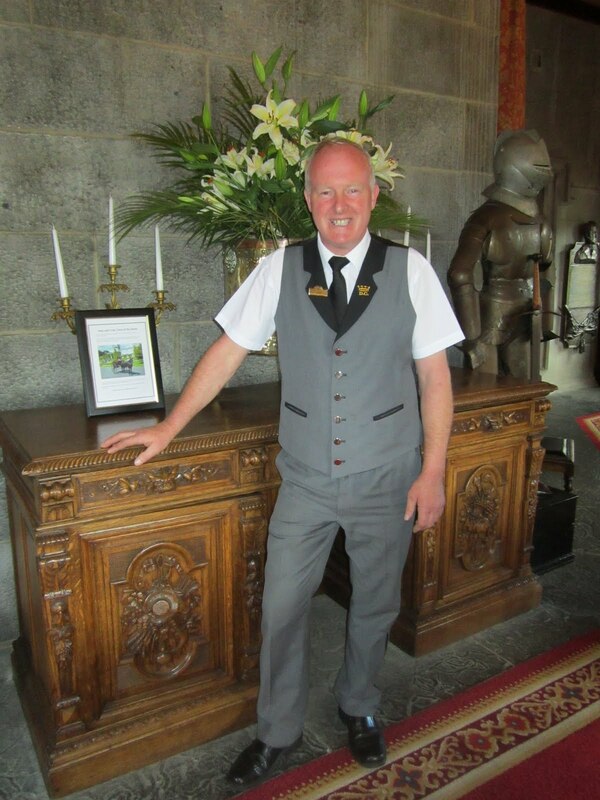 Nothing is impossible at Dromoland. Outside the walls of the Dromoland estate, County Clare itself has numerous delights to explore. The Burren Smokehouse in Lisdoonvarna is one of those. Birgitta Hedin-Curtin is the founder (along with husband Peter) and managing director of the business. Although born and raised in her native Sweden there is no mistaking her rolling Irish accent; albeit interspersed with Swedish vowels. Her passion for Ireland and Irish produce shines through as if she has lived there all her life. She is extremely proud of her salmon that has been born, cared for and smoked on Irish shores with local oak shavings; and so she should be. Her premium, organic and sustainably-sourced wild salmon is delicious; and even the Queen thinks so, as she enjoyed their wild salmon during two meals on her state visit to the country. Do not return home from County Clare without stocking up at The Burren Smokehouse first. It can also be mail-ordered at www.burrensmokehouse.ie, and is available from Fortnum & Mason. Shop for their Irish Organic Irish Smoked Salmon at Fortnum & Mason . 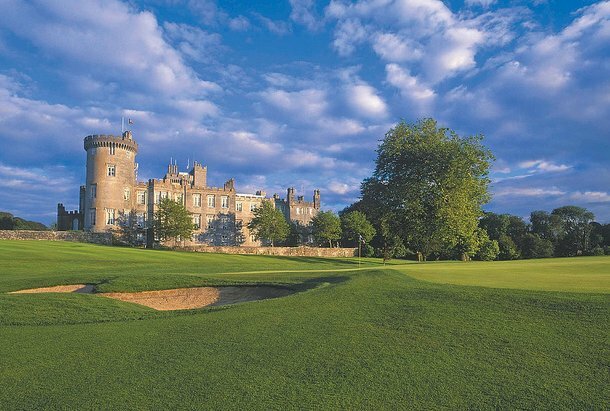 Enjoy two nights at Dromoland Castle in a Queen Anne room including full Irish breakfast each morning and dinner one evening in the Earl of Thomond restaurant for £350 per person. For bookings call 0800 056 7434 or visit www.dromoland.ie. For more information about holidays and visiting Ireland call 0800 039 7000 or visit www.discoverireland.com. Getting married in 18 months- will need to think about this :-). Looks amazing! This is just a crap advertorial. Thanks for your comment. Sorry you didn't like this feature; but thank you for taking the time to read anyway. This feature is just a very honest review of a fabulous location we stayed at last week- you should visit.